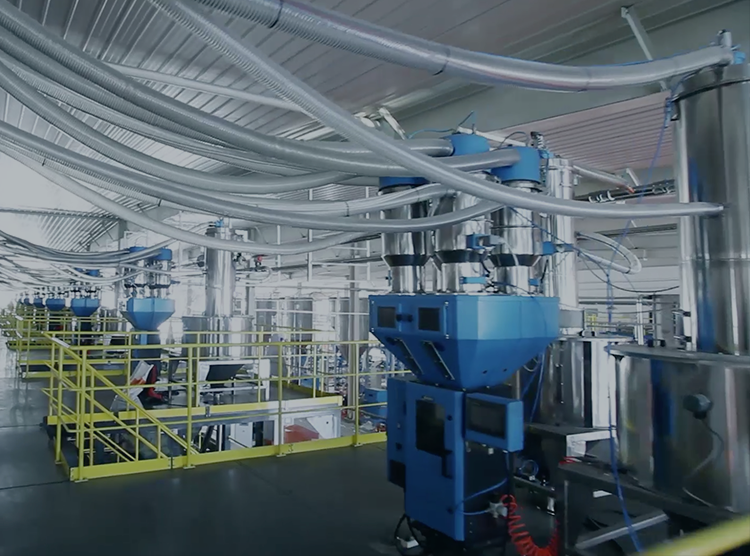 Shini group is able to help you on whole plant planning: conveying, drying, dosing temperature control and system cooling, automation and recycling for injection application or extrusion application. 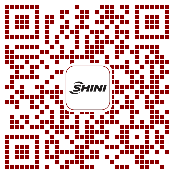 Shini can provide you the most suitable solutions from material tank to outdoor silos to you're your space, protect your material and lower your cost. All material contact surfaces and filter device of the system are made of stainless steel ensures no contamination during material conveying. 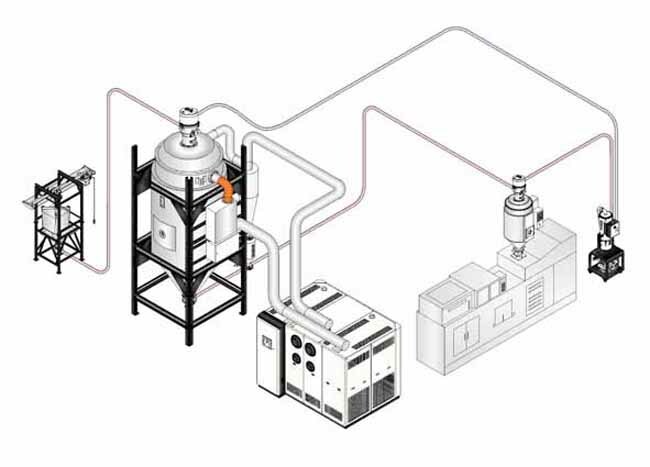 By adjusting conveying speed, the flexible air refilling adjusting system can avoid stringing and dusting caused by different conveying situations. For high temperature material conveying, Shini specially came up with the solution with water-cooling function which decrease the risk of high temperature material conveying. Closed loop of two-stage conveying system. For the conveying of materials to the hopper on injection molding machine, Shini can greatly reduce the heat dissipation and the risk of material rewetting. Standard manual material distribution station adopts quick coupler, central material distributor and mating connector to improve system efficiency. Auto material distribution station adopts central control board which is suitable for large-scale feeding system. SCM model of Shini is suitable for masterbatch particles both crystallized and non-crystallized with output within 0.2~32 kg/hr. 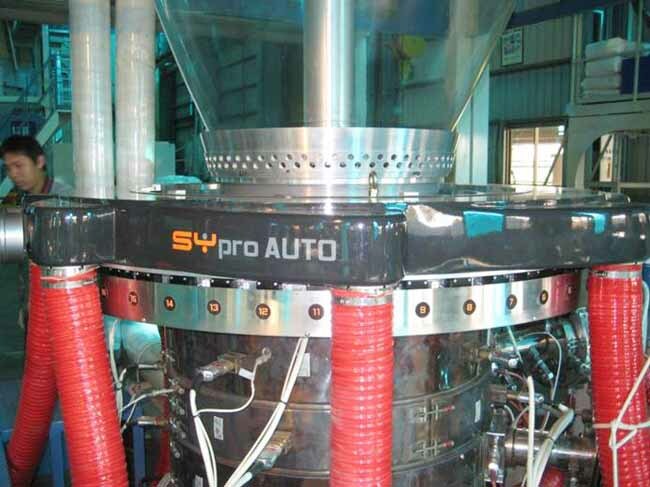 If the masterbatch proportion and precision is demanding, SGD model is suggested which adopts loss-in-weight calculation with output within 0.04~32kg/hr. Ethernet interface is attached to the SGB controller, together with the relevant software, material proportion data (max. output, actual output, proportioning accuracy) can be transmitted to control product quality. Recalibration will be automatically started after each weighing to ensure optimal proportion accuracy. Regrinds auto compensation function available. Aberration compensation can be automatically calculated based on the discharge amount of material. In plastic molding process, drying becomes the most critical step which must be seriously taken and the moisture in the material must be removed at a reasonable temperature. Shini dehumidifying dryer can provide dew-point of -40℃ or even lower. Also it can achieve constant detection of all the parameters and stabilize the dew-point. Dew-point of traditional dehumidifiers can not be set and the machines are working full-loaded. However, in material processing with rigorous humidity requirements, the dew-point must be set and controlled properly. Differ from traditional dehumidifier, the new Shini model combines the settable dew-point together with the regenerating control greatly saves the energy. For plastic film blowing molding, air ring is the main component for the molding, cooling of mold bubble. It has very important influence on thickness, homogeneity and output of the plastic film. SYline is a gravimetric loss-in-weight hopper designed to gravimetrically feed the extruder throat controlling the throughput set. The weight of hopper and relevant material is weighted by two off-centre load cell. 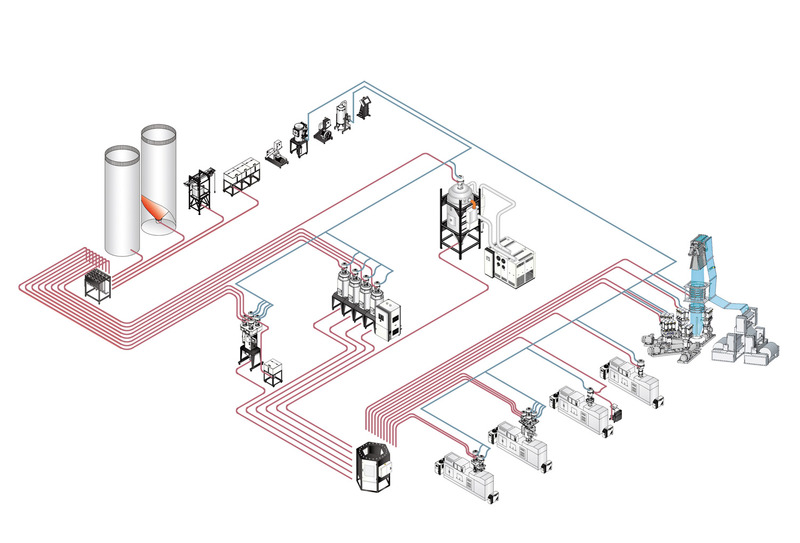 Based on commercial modular PLC electronics, SYline ensures simple and practical operation. 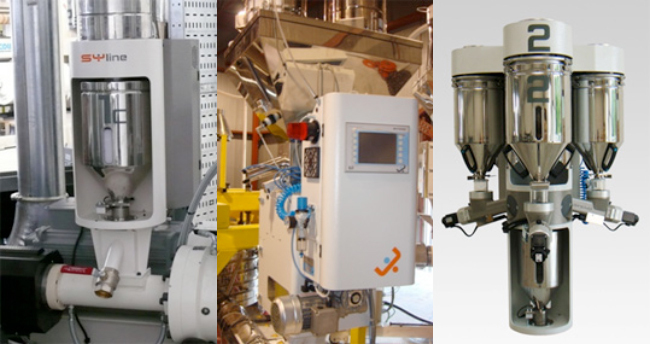 Control softwares of SYline are loss-in-weight control, gram/ meter and throughput control, material consumption control. eaSYbatch is the traditional gain-in-weight batch blender, designed to dose and blend multiple components. Using modularized PLC technology, the simple and practical operation can be assured. Control software of eaSYbatch consists of loss-in-weight control, gram/meter and throughput control, material consumption control. 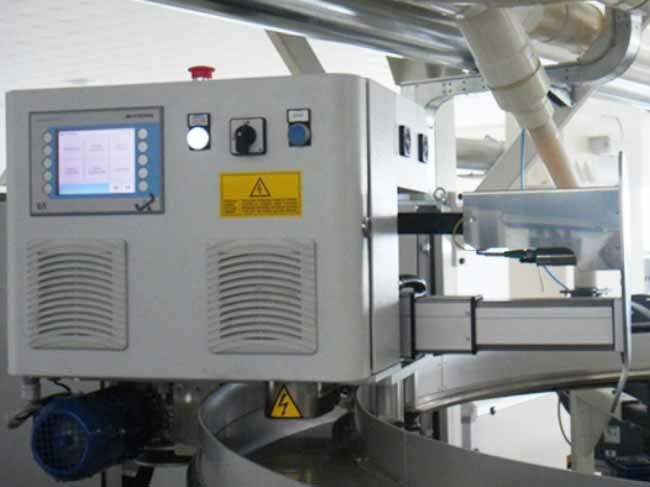 SYdos is continuous loss-in-weight gravimetric dosing system designed to dose and feed multiple components in all process in which a constant gravimetric feeding is required. Main material is weighed by two off-centre load cells and the data is transferred to control system to adjust the screw speed with the data transferred by each load cells of other materials. Control software of SYdos consists of loss-in-weight control, gram/meter and throughput control and material consumption control.